Join Whole Fitness for a fun work in the dark! This class will be a drumstick workout that uses glow sticks. 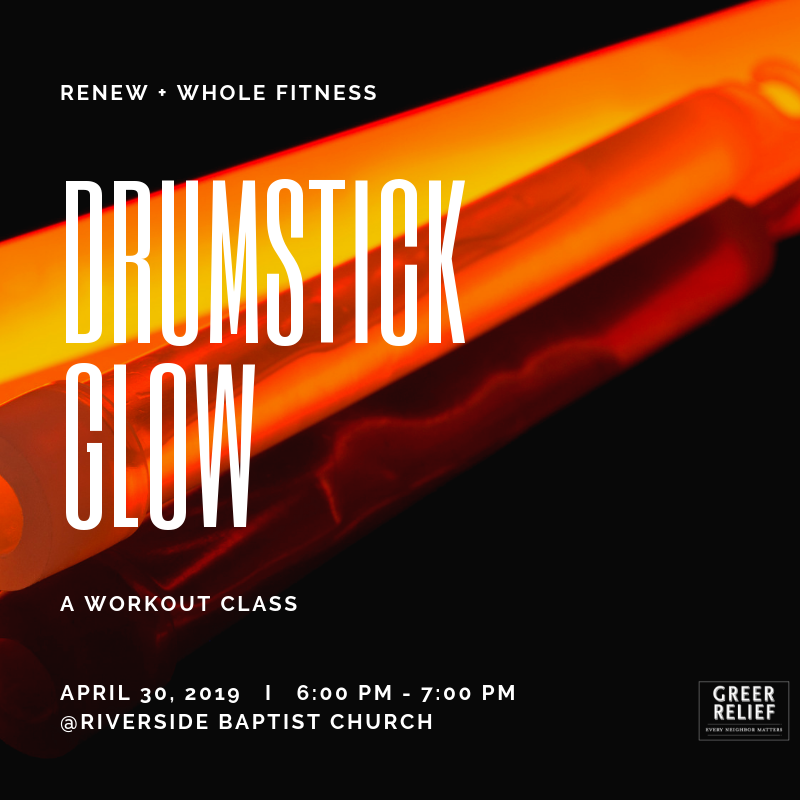 This class will be held on April 30th from 6:00 PM – 7:00 PM at Riverside Baptist Church. Please wait until the end of the workout to ask your instructor for a RENEW Reward.